Climate change is causing the range of North American songbirds to shrink in the south, but it's not expanding in the north at the same rate. An 18-year study of 34 North America songbird species has concluded that, for many of them, climate change is altering the size and geographic location of their range. The study, by Laura Coristine, a senior PhD researcher in the Department of Biology at the University of Ottawa, found that rising temperatures reduce the southern extent of the range more than it is expanding to the north. 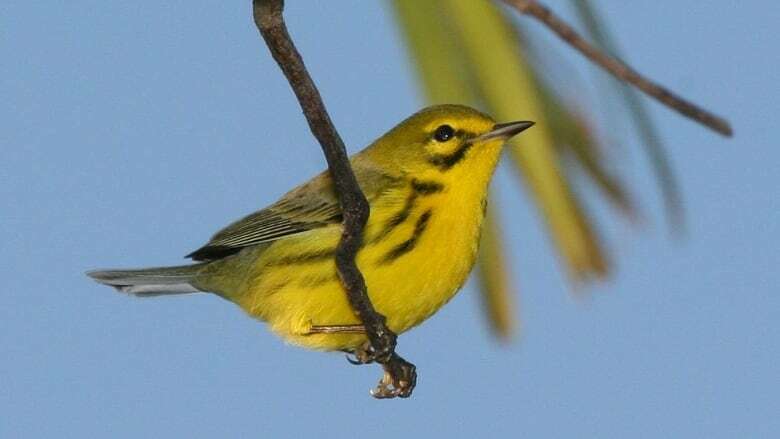 The prairie warbler - one of the hardest hit songbirds - has lost 170 kilometres of its Gulf Coast range at the southern edge, but gained only 16 kilometres in Ontario on its northern boundary. In many cases, the songbirds are not moving to more suitable area quickly enough, which is resulting in fewer birds.